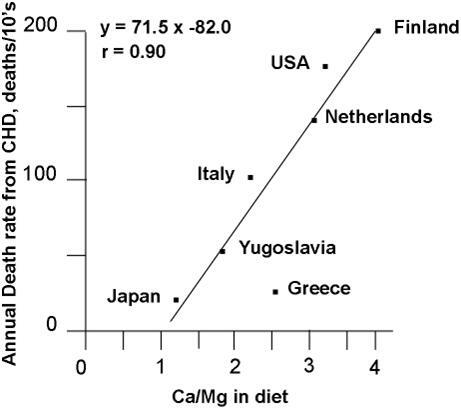 This entry was posted in calcium, heart disease, magnesium by Mark Pegram. Bookmark the permalink. Ever since I was 17 I suffered with palpitations and an irregular heart beat. The palpitations were quite severe and could last for up to 3/4 hours. I learned to control it with special breathing and did not allow my family to talk to me, in fact I disappeared to another room, which understandably they didn’t like. As I got older the palpitations became worse and back in 2014 I had an ablation. This was very successful and have never had palpitations since. However the consultant said there was still another fault in the lower chamber, but I wouldn’t have to much trouble with that. This was the fault which gave me an irregular heart beat and was driving me crazy at times, which didn’t help of course. One day when I was cleaning my kitchen cupboards I found a box of Vitamin D. Could not remember why I bought it and thought I might as well use the tablets -couldn’t do me any harm-. To my surprise the irregular heartbeats stopped, almost overnight. I had been suffering so badly last winter, that I am still so surprised of this outcome. I do get the occasional flutter but nothing like I had been experiencing before. The beat would be irregular almost every 3rd beat for many hours and I had to take a fleconite tablet. That would calm it down. Now I have read, that too much vitamin D isn’t right either. My question is at which point do I stop? In the summer? And take it only during the winter months? The best way to determine if you vitamin D intake is correct is to have it tested. Serum vitamin D is measured as 25(OH)D. The normal range is 40 to 100 ng/ml. You should try to keep the level at high normal or above 70 ng/ml. Also, be sure that you are getting enough electrolytes. Magnesium, calcium, sodium, and potassium are all important.